Disney Parks have an unwavering commitment to providing a welcoming and inclusive environment and accessible experiences for guests. Disney Parks is modifying the current Guest Assistance Card program, which provides access to attractions for guests with disabilities, so it can continue to serve the guests who truly need it. The new program is designed to provide the special experience guests have come to expect from Disney. It will also help control abuse that was, unfortunately, widespread and growing at an alarming rate. The new Disability Access Service (DAS) will allow Guests with disabilities at Walt Disney World Resort and Disneyland Resort to receive a return time for attractions based on the current wait time. Guests Relations at the front of each park will continue to assist Guests and provide assistance that is responsive to their unique circumstances. What is DAS and how does it work? The DAS Card is designed to accommodate guests who aren’t able to wait in a conventional queue environment due to a disability (including non-apparent disabilities). DAS will be issued at Guest Relations main entrance locations and will offer guests a return time for attractions based on the current wait time. As soon as the Guest finishes one attraction, they can receive a return time for another. This service can be used in addition to Disney’s FASTPASS Service and Disney FastPass+ service. 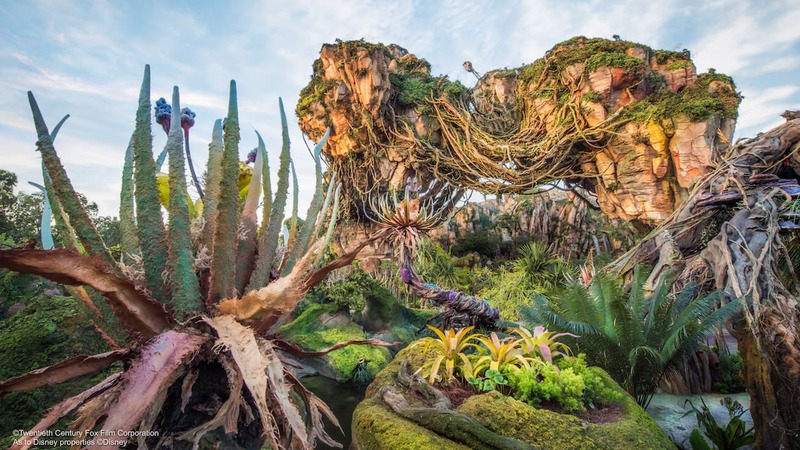 What will Disney Parks do if a Guest is concerned DAS doesn’t meet their needs? Disney Parks have long recognized and accommodated guests with varying needs and will continue to work individually with guests with disabilities to provide assistance that is responsive to their unique circumstances. Guests should visit Guest Relations to discuss their individual needs. Who will be eligible for DAS? Disney Parks’ goal is to accommodate guests who aren’t able to wait in a conventional queue environment due to a disability (including non-apparent disabilities). Guests should visit Guest Relations to discuss their assistance needs. How will guests get DAS? DAS will be issued at Guest Relations main entrance locations. Guests will participate in a registration process, which also includes having their photo taken. Why is Disney Parks doing this? Disney Parks is modifying the current Guest Assistance Card program so it can continue to serve the guests who truly need it. The new program is designed to provide the special experience guests have come to expect from Disney. Disney Parks also hopes it will help control abuse that was, unfortunately, widespread and growing at an alarming rate. Does the guest utilizing DAS have to be present to obtain a return time at an attraction? No. Another member of the DAS Cardholder’s travel party may obtain a return time but the DAS Cardholder must board the attraction with his or her party. Where do guests utilizing DAS go to receive return times? At Disneyland Resort, guests will go to Guest Relations kiosks located throughout the parks to receive a return time. At Walt Disney World Resort, guests will go to the attraction to receive a return time. Does a guest utilizing DAS have to ride the attraction at the exact return time listed? No. Return times are valid until redeemed by the guest utilizing DAS. How long is DAS valid? DAS card is valid for up to 14 days depending on a guest’s ticket entitlement. Is DAS issued at one Disney theme park valid at other Disney theme parks? Yes, DAS will be valid throughout the resort at which it was issued. Why doesn’t Disney Parks ask for proof of disability, such as a doctor’s note? Disney Parks takes Guests at their word and there are legal restrictions around asking for proof. Is this the only service available to Guests with disabilities? Disney Parks offer a variety of services to guests with disabilities, such as Disney’s Handheld Device that offers assistive listening, captioning and audio description. Additionally, Disney Parks has developed a “Guide for Guests with Cognitive Disabilities.” This serves as a tool on how best to experience its theme parks and is expected to be available online by mid-October. Disney Parks will continue to provide excellent guest service and accessible experiences. Guests should visit Guest Relations at any park should they feel they need assistance due to a disability. Does a Guest whose disability is based on the necessity to use a wheelchair or scooter need DAS? No, a Guest whose disability is based on the necessity to use a wheelchair or scooter does not need DAS. Depending on the attraction, the Guest will either wait in the standard queue or receive a return time at the attraction based on the current wait time. For some attractions at Disneyland Resort, these guests will go directly to an alternate entrance. Guests with additional needs should discuss them with Guest Relations. Will Disney Parks continue to provide a service to wish-granting organizations? The change will not affect those who are visiting on trips organized by wish granting organizations. There is a separate program for children with life-threatening illnesses. For further questions, please contact: Disability.services@disneyparks.com or (407) 560-2547. Disney Skyliner is an all-new transportation experience set to debut this fall at Walt Disney World Resort. Testing of the system’s nearly 300 guest cabins and other elements is well underway, and today we have new details to share about this innovative transportation system.